It is crucial that the PM ruled out the prospect of heading a minority government [supported ad hoc by MPs from other parties]. 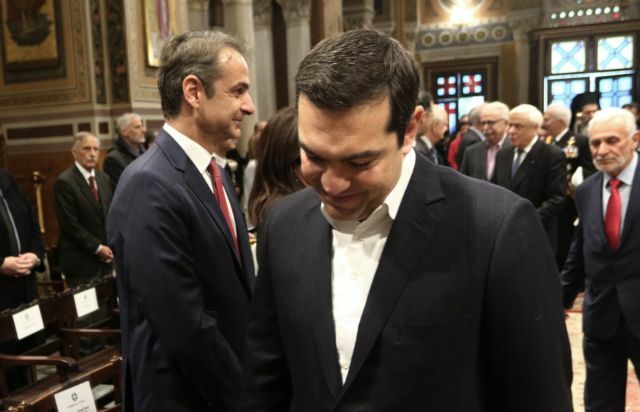 In his nationally televised interview last night, Prime Minister Alexis Tsipras confirmed what everyone already knew – that the country is bedeviled by a political problem. The PM may have attempted to defend his junior coalition partner, but he also made clear that Defence Minister Panos Kammenos’ stance on the Greece-FYROM Prespa Agreement poses a problem for the government’s parliamentary majority. It is crucial that he ruled out the prospect of heading a minority government [supported ad hoc by MPs from other parties], a prospect that the government spokesman had supported as feasible days earlier. 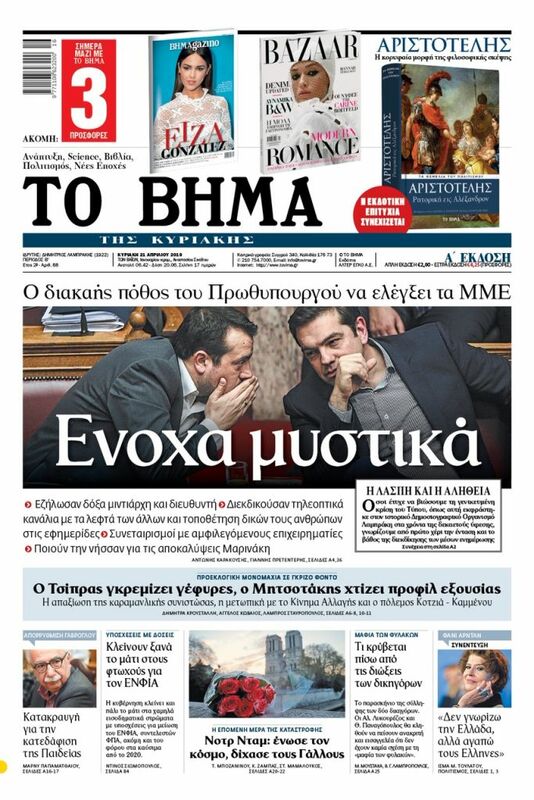 The political situation should clear up after tomorrow’s meeting between the PM and Mr. Kammenos, though one cannot trust the choices of the minister. Despite his countless assurances that his government will complete its term in the early autumn, Mr. Tsipras for the first time left open the prospect of early elections if his parliamentary majority is called into question. It is now perfectly clear that the emerging political climate and the resulting impasses can be transcended only with a general election. The political system and the country cannot withstand any more murky solutions. The approval of the Prespa Agreement in the parliament of FYROM, with the completion of the constitutional amendment process, will function as a catalyst that will shape the political map and course of our country. Even if the government manages to temporarily maintain a parliamentary majority, the environment of extreme polarisation and clashes cannot last for very long. The electoral period has in essence already begun. Political uncertainty is paralysing the economy and is harming the broader interests of the country. The prolongation of this uncertainty benefits neither Mr. Tsipras nor the aim of stabilising the economy. The country cannot be entrapped by the political interests and choices of Mr. Kammenos. Clear solutions are needed in order to confront future challenges. The solution can only be offered by the vote of citizens in a general election.